Rice is a versatile grain that is a major part of several ethnic cuisines. It provides complex carbohydrates with only 100 calories in a one-half cup serving, according to the U.S. Department of Agriculture. 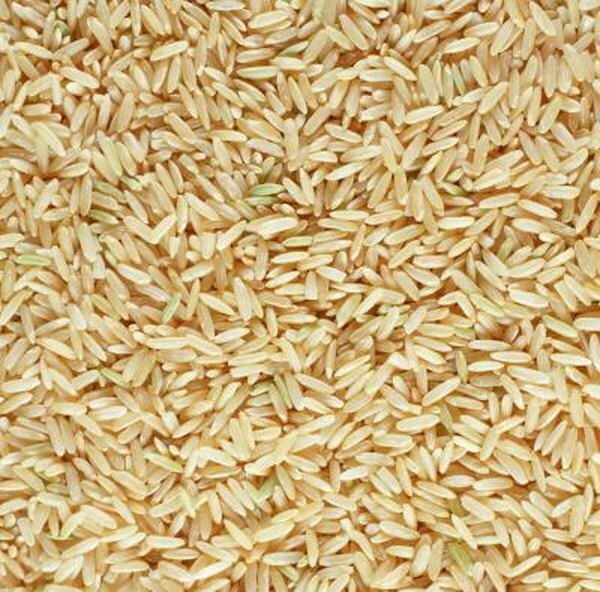 Rice comes in several sizes, colors and forms. One way to categorize rice is whether or not the grains have been subjected to milling. Milling is a process where the outer layers of the grains are removed, exposing the white kernels inside. Unmilled rice has only the husk removed, according to the USA Rice Federation. A common term for this is brown rice, although black rice, purple rice and red rice are other available varieties of unmilled rice. Milled rice is commonly called white rice or polished rice. The husk, bran and possibly even the germ layers are removed to varying degrees in milled rice. Parboiled rice falls somewhere in between these two varieties. Pressure steaming the rice prior to milling produces parboiled rice. The milling process removes a considerable amount of B vitamins, vitamin E, minerals, fiber, essential fatty acids and some protein. Thus, milled rice is mainly a source of carbohydrates and protein. Unmilled rice is marketed as whole grain and is an excellent source of dietary fiber. Rice should be complemented with other foods to get sufficient quantities of high-quality protein, fat and other nutrients. The nutritional content of milled rice can be enhanced with added minerals and vitamins. This is called enrichment. Unmilled black and purple rice have more protein than brown or white rice. Brown rice or unpolished rice requires slightly longer cooking times than white or polished rice. Parboiled rice is less prone to overcooking and is used in commercial products such as canned soups and frozen foods. Brown rice might also need more water for cooking because it takes longer to cook. Both types of rice can be prepared in various ways, including steaming, pressure cooking, boiling and microwave cooking. Brown rice has a nutty flavor. White rice can be fragrant if it is one of the aromatic varieties such as basmati or jasmine. Long-grain rice tends to be firm, and the grains stay separate even after cooking. This is unlike the medium-grain and short-grain varieties, which are stickier. Long-grain rice also tends to be less moist. Parboiled rice is firm. In general, brown rice and other unmilled varieties contain more oil because they retain the bran and germ layers. This oil is susceptible to oxidation and degradation, which limits shelf life. Brown rice can last up to six months in the pantry when kept in a dry, airtight container. Its shelf life is increased when stored in the refrigerator. Milled rice or white rice stays fresh for much longer periods than unmilled varieties when stored under proper conditions, avoiding exposure to moisture and air.